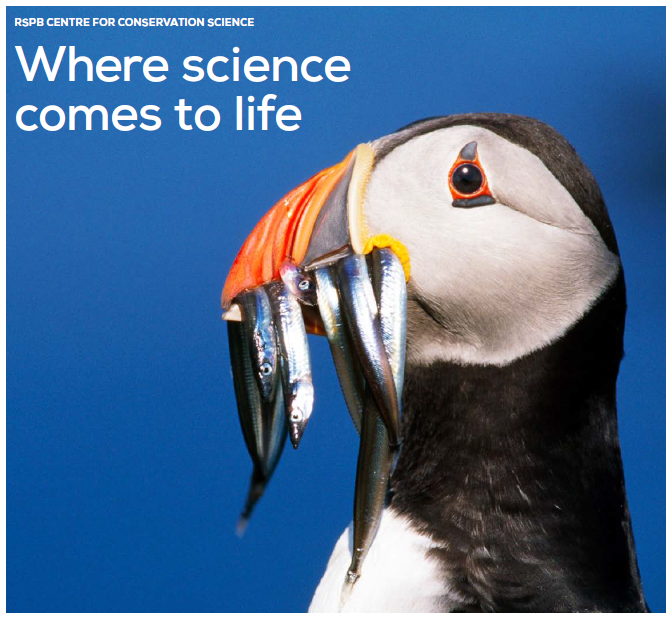 February 2014 marks the launch of the RSPB's virtual Centre for Conservation Science, with associated website, and state of play review publication. Although the April 2013 review of the RSPB's scientific program, led by Professor Sir John Lawton, commended the work as "outstanding", it was recommended to provide a means of disseminating these data to interested parties and so was born the plans for the RSPB Science initiative. Dr Gibbons then detailed the ten conservation challenges for the CfCS. 1. Improving our knowledge of the status of UK and UK Overseas Territories’ wildlife. 2. Understanding the causes of decline of UK’s summer migrant birds. 3. Improving the status of threatened species in the UK and overseas. 4. Producing food, fibre, energy and infrastructure alongside wildlife. 6. Understanding the impacts of, and helping wildlife adapt to, a changing climate. 7. Understanding the impacts of environmental change in the oceans. 8. Informing designation and management of protected areas on land and at sea. 9. Understanding how people benefit from, and connect to, nature. 10. Building capacity in conservation science. At the end of the document is a detailed list of the 88 PhD research projects that the RSPB and their staff have been involved with between 2003 and 2013. This is a significant investment of time and money from the RSPB and should be commended as such.